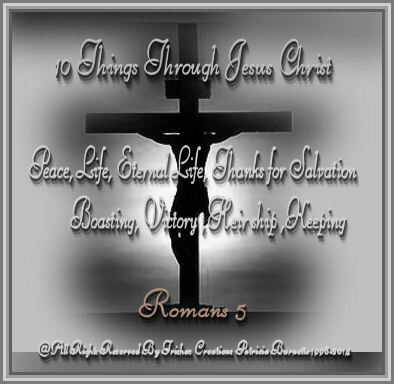 "10 Things Through Jesus Christ"
Welcome to "10 Things Through Jesus Christ"
There is so many good things we receive from Jesus Christ , when we accept Him into our hearts and our lives. Have you even thought about all the things which we are heirs to and all the blessings we can receive through Him and His grace. The love He has for His followers is just amazing, and I have listed "10 Things Through Jesus Christ" which we can have through Him and His love!